Food for Learning’s Feed the Meter campaign returns for its 10th holiday season to raise funds for student nutrition programs in Hastings and Prince Edward counties! The holiday season is upon us again and we are proud to announce the launch of the 10th annual Feed The Meter Campaign in support of student nutrition programs in Hastings and Prince Edward counties. Together three local municipalities, Belleville, Trenton and Picton, will participate. All funds collected in meters during the month of December 2018 will support Food for Learning’s student nutrition programs in area schools. The goal of student nutrition programs is to ensure that all students have daily access to breakfast, lunch and/or snacks while at school. When students eat better, they are engaged in their learning, experience a sense of belonging at school and develop lifelong healthy eating habits. By donating to Food for Learning this holiday season you are helping to provide food to local students! We know that students in our area arrive at school hungry for a variety of reasons – poverty, rushed mornings, long bus rides, etc. Regardless of the reason, we aim to minimize hunger faced by children and youth in our community. The support received through the Feed the Meter campaign makes this possible. In the 2017-2018 school year alone, Food for Learning programs provided 1,076,531 meals and snacks through student nutrition programs! All proceeds of the Feed the Meter campaign will be returned to the schools in the communities where the funds were raised and will be used to purchase groceries for the various programs in those communities. This year’s goal for the Feed the Meter campaign is $30,000. 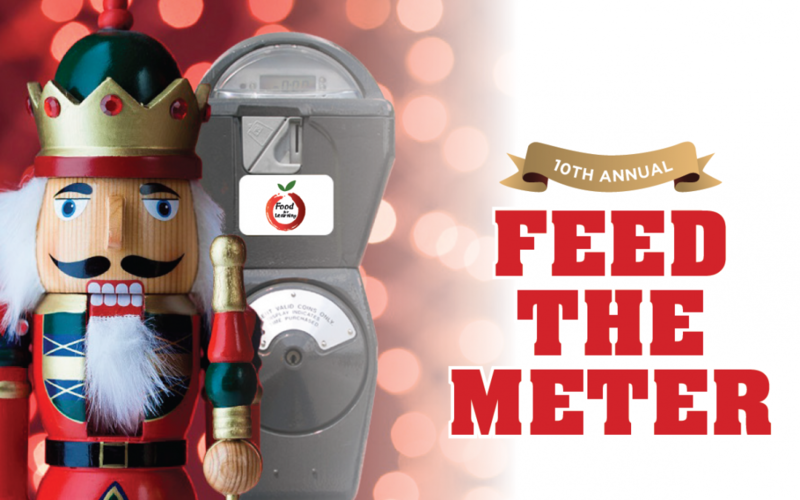 Please Feed the Meter when visiting downtown Belleville, Picton, or Trenton this holiday season. The Feed the Meter campaign is supported through the generous contributions from campaign sponsors Batawa Ski Hill, Market High Advertising LTD., Greek Community of Belleville Quinte West and District, Starboard Communications and Kellogg’s.